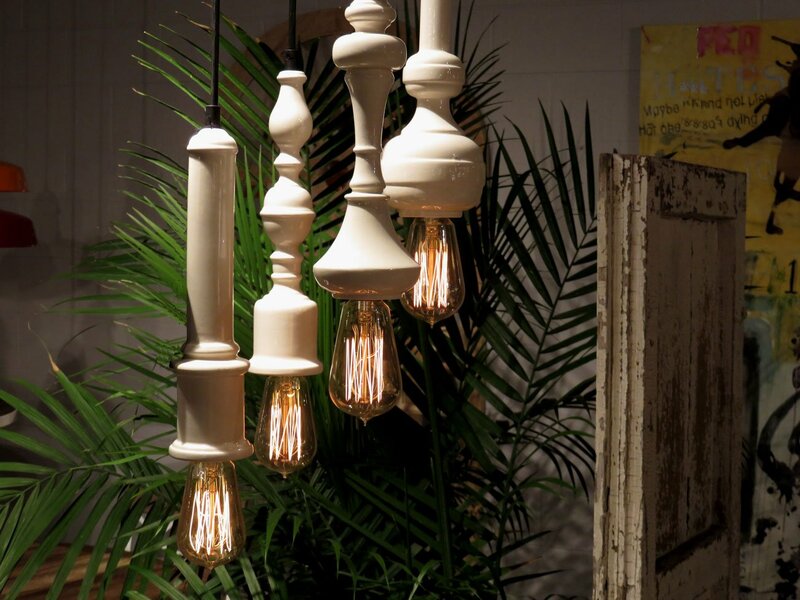 Good things come in sets of four just like these vintage pendant lights. Maybe I made that up but once you see these vintage pendant lights you might agree with me. I think that one pendant looks nice, two pendants even better, three are good but hang four pendants all together and they will look great. 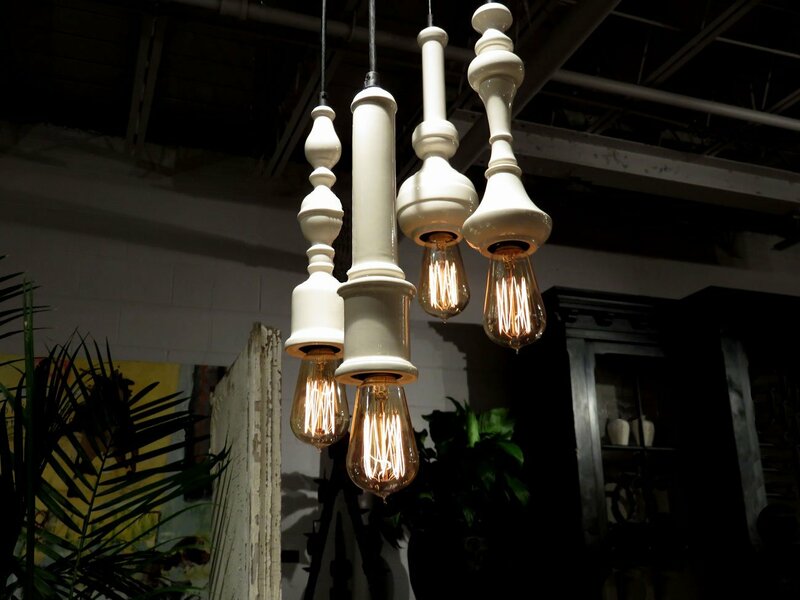 Inspired by the mortar and pestle used by pharmacists, these vintage pendant lights have retired from mixing up medicine for doctors and their anxious patients. Years ago, a heavy club shaped object called a pestle, with a decorative handle on one end and a blunt shape on the other, was used to grind and mix medicine in a mortar bowl. 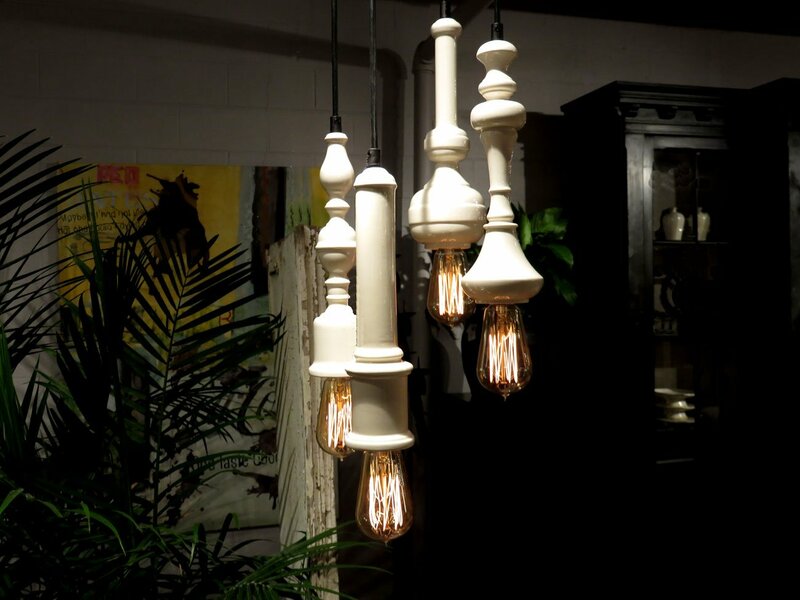 The different shapes of these pestles was the inspiration for these vintage pendant lights. But instead of one blunt end that was used to grind, these pendants have a hole to screw in a vintage style Edison light bulb. And rather than being carved in stone, these pendants are made from porcelain with a white glaze finish. Hang one pendant and it might look lonely but hang a row of pendants over the kitchen island and they will add vintage industrial style to your space. in contrast, these pendants can also be used in a contemporary space. Their elegant shape and smooth high gloss finish compliments any modern design aesthetic. Hang these pendants in front of your favorite artwork on the wall or a row of pendants over a white lacquer or glass top dining table. 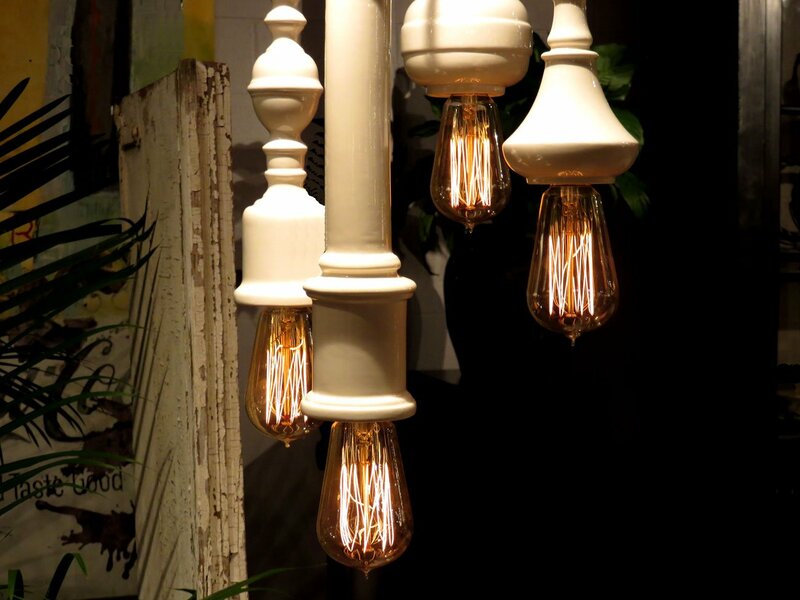 Go vintage or modern with these vintage pendant lights and they will prove that good things do come in sets of four.